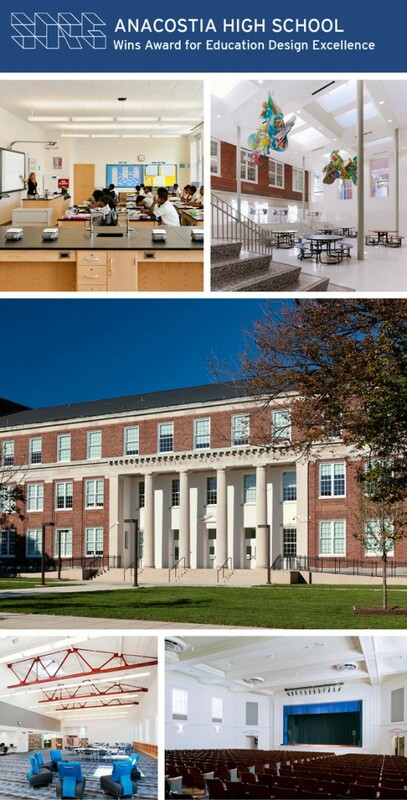 We’re excited to announce that Anacostia High School in Washington, DC was recently honored with an outstanding renovation/modernization design award from American School & University® for its Education Design Excellence. The project was featured on the cover in the November 2013 edition of the magazine and at www.SchoolDesigns.com. An annual competition honoring education design excellence, the Architectural Portfolio spotlights projects representing today’s most effective learning environments. 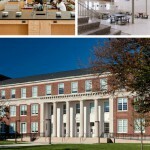 Allen & Shariff worked for SORG Architects to provide the MEP/IT engineering design services for the Anacostia High School renovation. The project included the gut/renovation/modernization and adaptive re-use of a 247,000 SF school that enhances and preserves the existing building. The high school was in desperate need of a complete renovation and modernization to provide the students with state-of-the-art technologies and communications capabilities. Utilizing as much of the existing building as possible, the renovation included new MEP systems; ADA improvements; code compliance; site improvements; and new furniture, fixtures and equipment (FF&E). Specific MEP/IT building enhancements include improvements in lighting quality, environmental air quality and the latest in technology.